Our cobanero chili is a rare Mayan variety of chili pepper, only grown in the mountains around the city of Cobán in Guatemala. It has a lush, fruity aroma and a fierce, smoky heat that makes everything taste better. 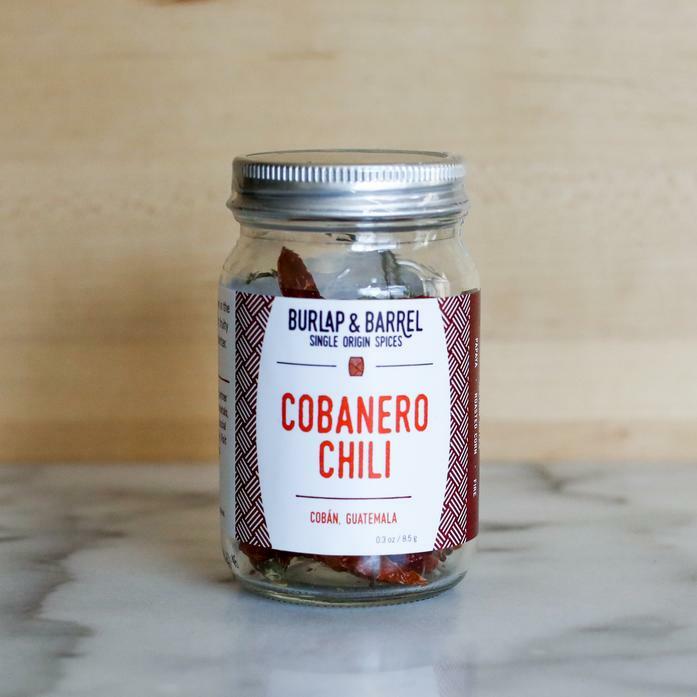 Perfect for anyone who appreciates true chili flavor. Each order contains one 0.3 oz jar.